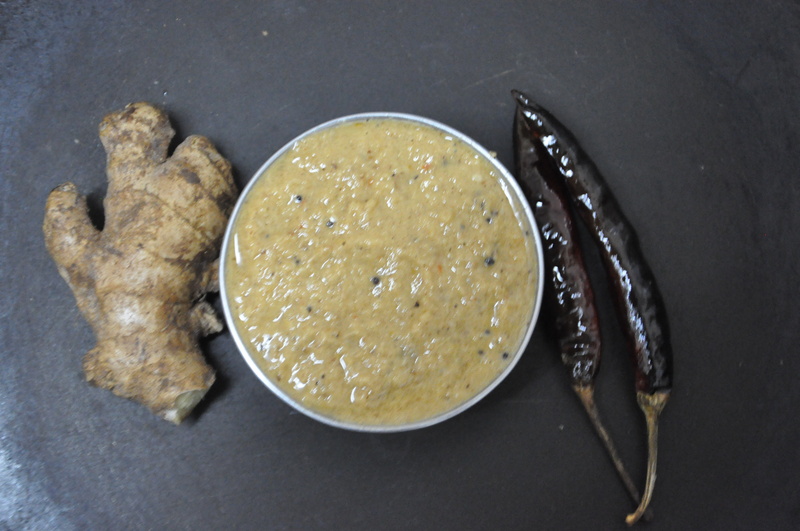 Chutneys are an important part of tamilnadu cuisine. The staple food Idli – steamed rice cake and Dosai – Rice and lentil pancake is always had with different kinds of chutneys. These might vary in their combination of ingredients – coconut, dals and vegetables to make it more spicy, tangy or very spicy. 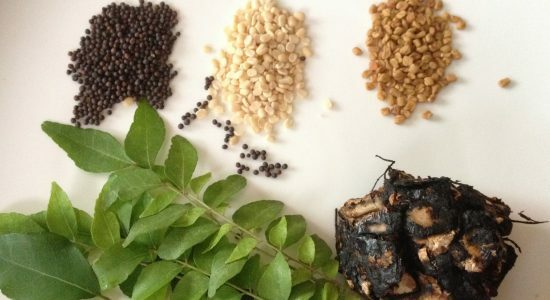 Inji Thuvayal is an accompaniment for kaaikari sodhi or the vegetable stew. This is mainly for digestional purpose since coconut milk makes the dish very heavy. Ginger aids in digestion.